Net neutrality isn't just a good idea - it's the very concept that keeps us connected. When the current head of the FCC jokes about being a "puppet" chair while threatening to revoke prior protections, he's not just being unprofessional - he's showing contempt for the free expression of ideas and digital access for everyone. The next forty-eight hours are critical...but here's what you can do. Duckworth) and mixed results outside the state...but I called. As you should, too. Tuesday, December 12th, there will be a massive protest called Break The Internet. People are being asked to flood their social media streams (including Facebook, Twitter, LinkedIn, etc) with messaging. Clicking on the Break the Internet link will take you to a page where you can sign up and get all sorts of pre-written Tweets, Facebook posts, etc. Because this isn't just about paying for the Internet...it's about ensuring that everyone has equal access to the net. It ensures that the greater community doesn't have to "pay to play" online. 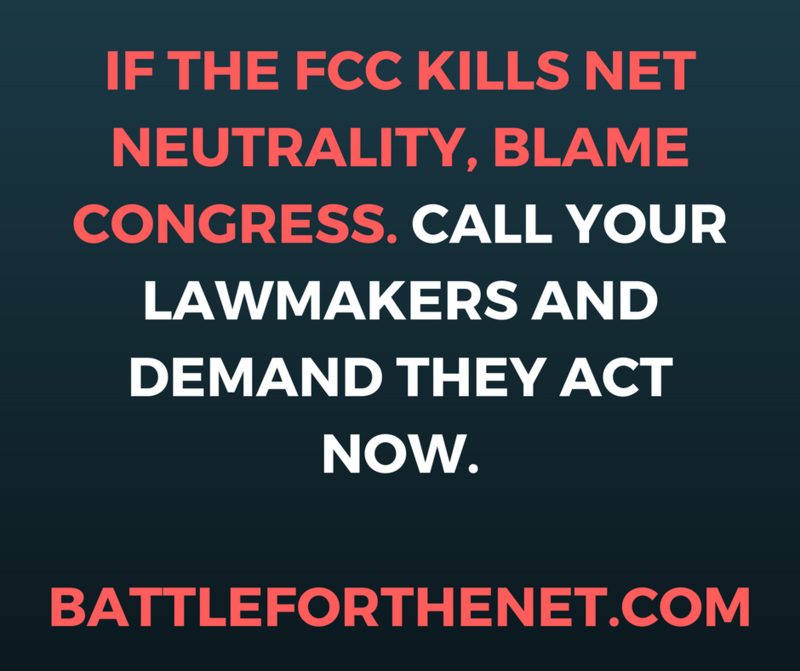 Last Thursday saw a series of protests at Verizon stores...in the next 48 hours, let's bring the protest to the Internet itself and make ourselves heard.